To All the Boys I’ve Loved Before is a film adaptation of the young adult novel written by Jenny Han. The story revolves around Lara Jean (Lana Condor), a movie-watching, baking-loving romantic. Her secret love letters to all of the boys that she’s loved before get sent out, causing her imaginary love life to become real, except not. Lara Jean covers any real feelings she had, or has, by having a fake relationship with Peter Kavinsky (Noah Centineo), who is a recipient of one of her letters. While this fake relationship was intentionally created to prevent an awkward confrontation with Lara Jean’s old crush and to make Peter’s ex jealous, it turns into something much more. The world fell in love with this story, and many people are questioning: why? For starters: the relationships in this film — not only the romantic ones, but the friendships and the family bonds between the characters. Lara Jean and Peter share the purest form of love, resulting in watchers feeling nostalgic or hopeful towards love. Additionally, we get to see the closeness between the Covey sisters and their father and how the previous death of their mother has brought them closer than ever. The family relationships in this movie grow just as much as the romantic one. Not only do we adore the wholesome and genuine love in this movie, but we love the relatability. Fans of this movie connected to Lara Jean’s shy, hopeless romantic personality. People related to every small moment in the movie, like watching Golden Girls on a Friday night or being terrified of driving. I especially related to the scene where she said she was going to wait in her car in the parking lot until all of the other cars left. 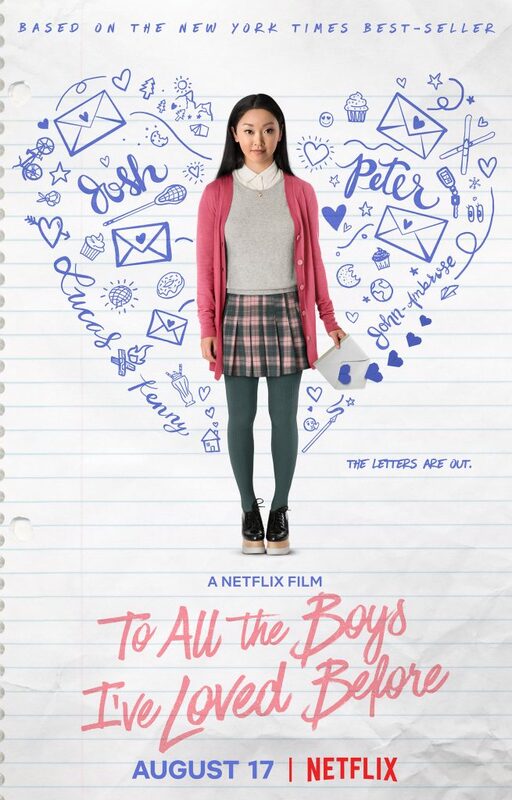 Overall, To All the Boys I’ve Loved Before is a sweet romantic comedy full of beautiful cinematography, lovable characters, and optimistic romance. Not only that, but this film displays important Asian-American representation. If I could sum up why everyone loves this story, I would say it is because it cuts out a lot of clichés and just gives us a gentle, delightful, charming love story that allows us the chance to experience a feeling of bliss and warmth for a couple hours. Emma Cohen is currently a high school student in Southern California and a lover of all things creative and artistic. When she’s not doing schoolwork, she’s watching The Ellen Show or Gilmore Girls for the thousandth time. She also loves visiting all of the picture-worthy spots near her in Los Angeles, and she is constantly yearning to travel the world.